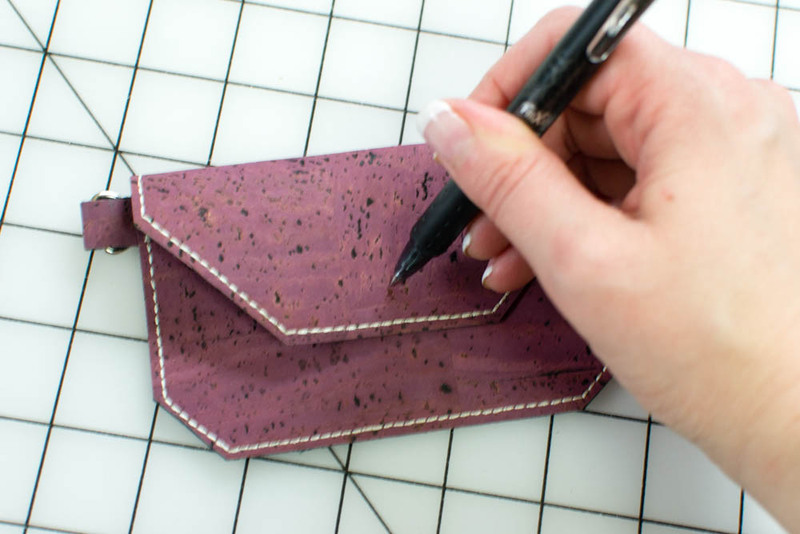 Sew an easy card wallet using natural cork fabric. This new textile is durable, beautiful, and easy to sew! This free pattern is a great starter project - or a great way to use up scraps. I was so happy to read the comments that you left on my 'playing with cork fabric' blog post last week and find out that so many of you wanted a tutorial for this fast and easy card wallet from cork! So I grabbed my supplies (which I hadn't even put away yet) and sewed one more, taking pictures so you could see how to make it. Plus you'll see there are lots of ways that you can customize them to your own style. All of my cork fabric came from Fabric Funhouse - there is a huge assortment of colors and printed varieties. You could also change change the cut-off corners to curves, or skip that step altogether. 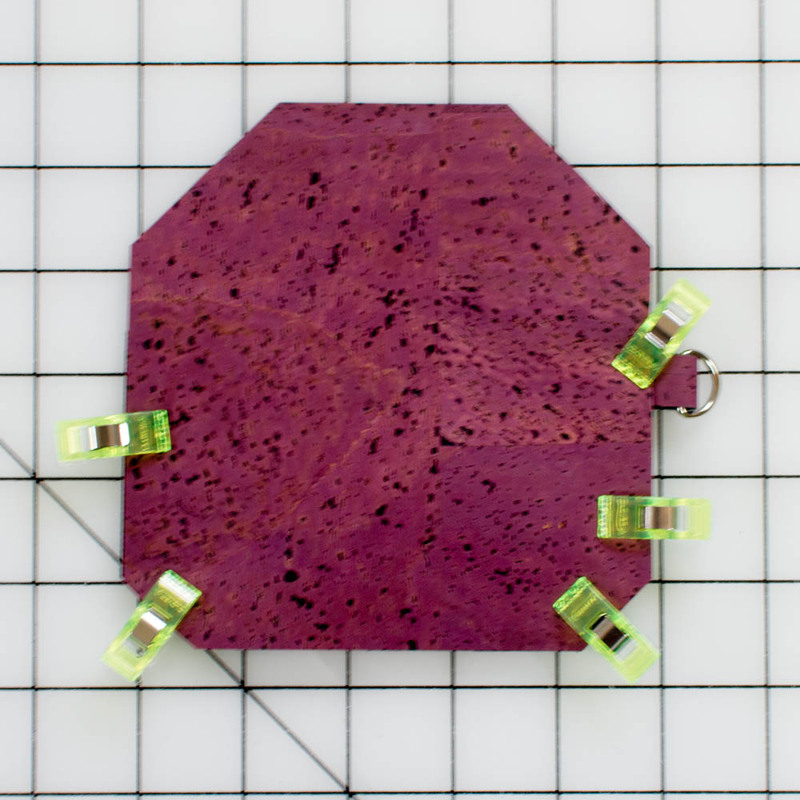 You do not need any special sewing machine feet or needles to sew with cork fabric. I used a medium 80/12 needle, although I suggest going up to a size 90/14 needle if your sewing machine struggles at all. Since all of the sewing in this project is decorative topstitching, I used the triple stitch (bean stitch - see image below) with cream colored embroidery thread on both the top and bottom. If you want to use a heavier topstitching thread, you could try a regular straight stitch instead of the triple stitch. I used my open-toe sewing machine foot so I could see the stitches better, but a regular sewing machine foot would work just fine. Have I convinced you to sew with cork fabric yet??? You are going to LOVE it! 1. Line up the 3''x5'' piece on the bottom of the 5 1/4'' x 5'' piece, wrong sides together. 1. Trim 1'' triangles from the bottom corners of both pieces together. Tip: As you can see from the first photo above, the 45 degree angle line on my ruler is lined up with the bottom of the pieces. This helps me cut a perfect triangle. 2. Set the 3'' x 5'' piece to the side, and turn the larger piece over. Cut 2'' triangles from the top corners of the larger piece in the same way. 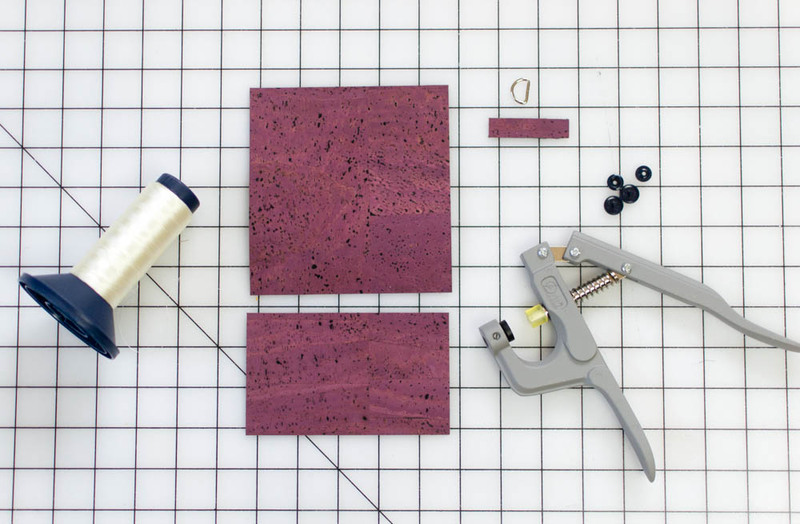 Your cork fabric pieces should look like this. 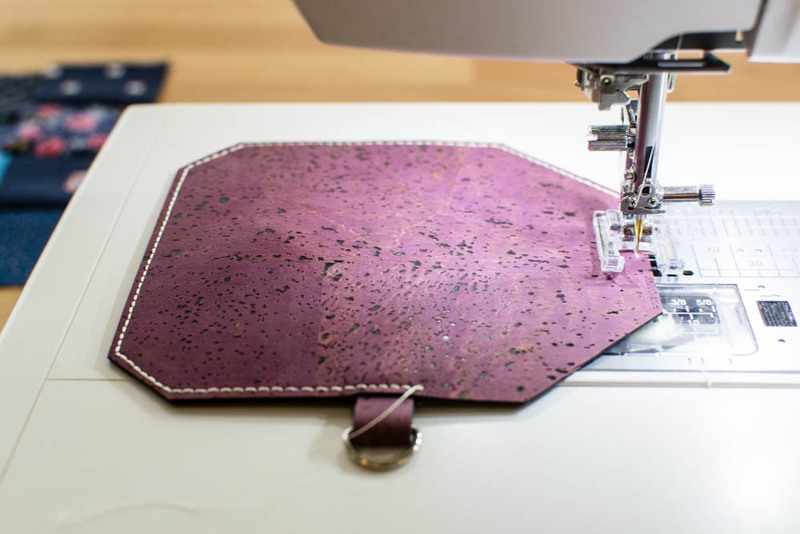 Tip: Instead of using thick topstitching thread, I used the triple stitch (or bean stitch) setting on my sewing machine to make the thread look nice and thick, and make the seams strong. 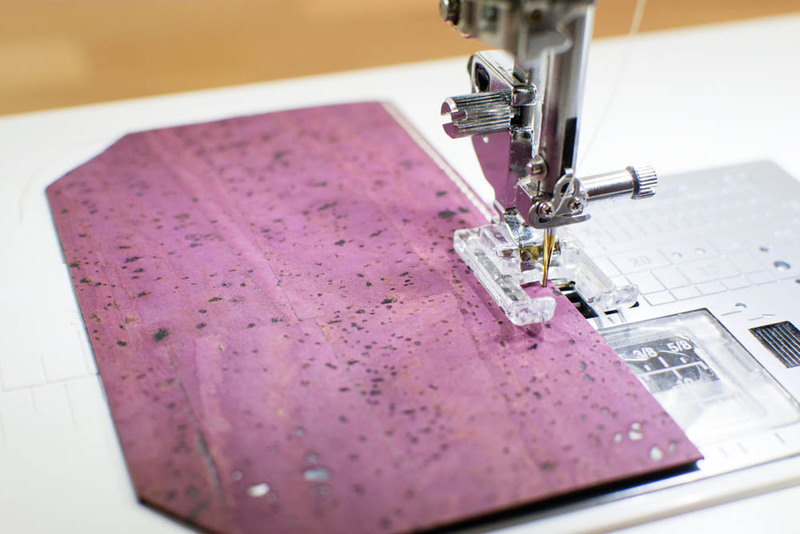 If your sewing machine doesn't have this stitch, a regular straight stitch will look great too. I also used embroidery thread because I wanted that pretty sheen. Just about any thread that works well on your sewing machine is fine for this project. 1. Topstitch across the top of the front piece, 1/8'' from the edge. 2. 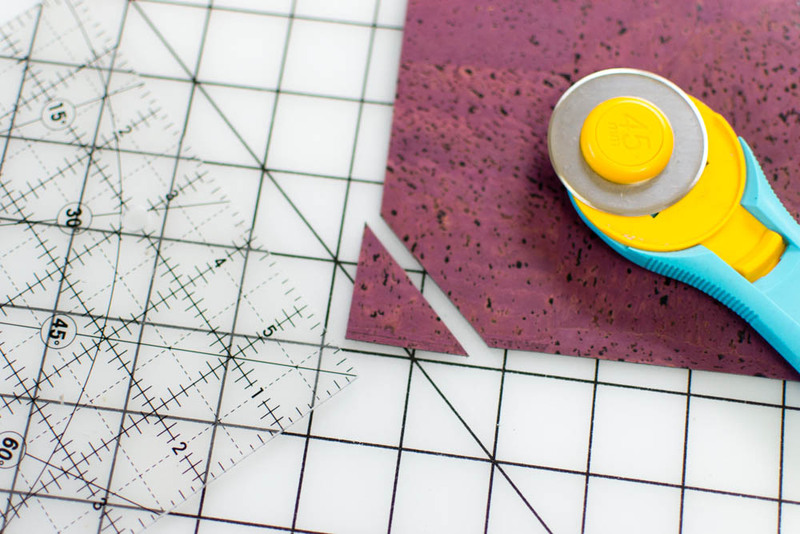 Make a mark in the center of the piece: 1 1/2'' from the bottom and 2 1/2'' from each side. 3. Use your snap setter to attach the female end of the snap, with the smooth part on the wrong side. 1. Place the front piece on top of the back/flap piece, wrong sides together, lining up the bottom corners. 2. Wrap the 2'' strip through the d-ring, and place the ends in between the layers on one side. 3. Use Wonderclips to secure the pieces together with the d-ring tab ends in between. 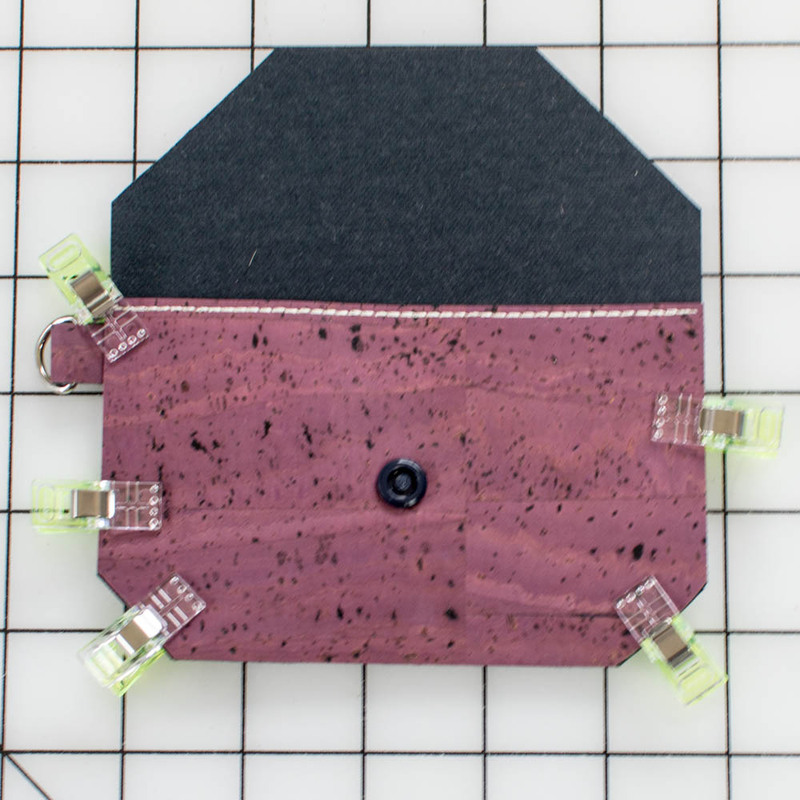 Tip: I placed my clips upside down because I was planning to sew with the larger rectangle on top. It doesn't matter which side you sew on because your bobbin thread should already be matching - I just wanted to pay particular attention as I sewed around the top flap edge. 4. Still using a triple stitch, sew all the way around the wallet, 1/8'' from the edge. Sew slowly over the ring tab, making sure it doesn't slip. When you come to the place where you started sewing, backstitch neatly. 1. Fold the flap down over the snap piece that you already installed. Use your finger to feel the center of the snap piece. Mark the spot on the front of the flap where the other side of the snap should be attached. 2. Push the flat end of the snap through the right side of the flap where you marked. Use the snap setter to attach the male end of the snap. 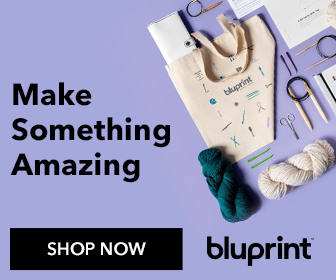 Now make lots more cork wallets because they are so fast and fun! Make sure you tag me on Instagram @sewcanshe so I can see too!